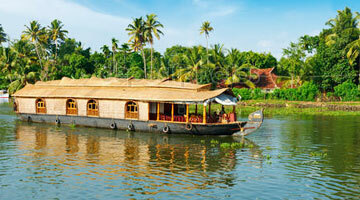 Kerala, God’s Own Country, has enchanted visitors for all time. Here, beauty assumes a different flavor, one of elegance shaped by centuries of tradition. 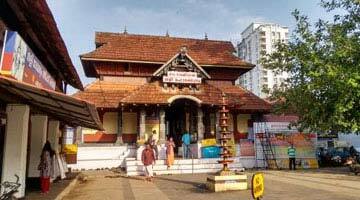 Know what makes this heavenly place worth visiting with Kerala heritage tours. Experience the ride of a lifetime on a “Kettuvallam”, a traditional house boat on the incredible backwater stretches of Alappuzha, Kumarakom and Ashtamudi, among others. Book your trip with Kerala tour packages, and spend a day enjoying the pleasures of Kerala’s beaches including Bekal, Cherai, Kollam and Kappil, besides others. One of the highlights of these tours is night stay in heritage properties at various location. Kerala is also home to some imposing forts built by armies that have shaped its architecture over centuries. Spend your cultural holidays in Kerala among the tea plantations and colonial era bungalows of Munnar. Behold the sight of magnificent waterfalls like Athirappalli and Vazhachal, or come close to nature at the various wildlife sanctuaries. Experience the benefits of traditional Ayurveda at the hands of the Vaidyars of Kerala.